Hey, if some hillbilly comes up to me, I'm gonna lash him in the face, that's all. After the bombs fell everything took a turn for the worse as entire regions of the earth were decimated and made uninhabitable. Several decades later, pockets of civilization began to rise up and form new societies in the ashes and ruins of the old world; Tennessee was no exception. From primitive tribes to full-fledged military outposts, humans and mutants alike have found their home in Tennessee. 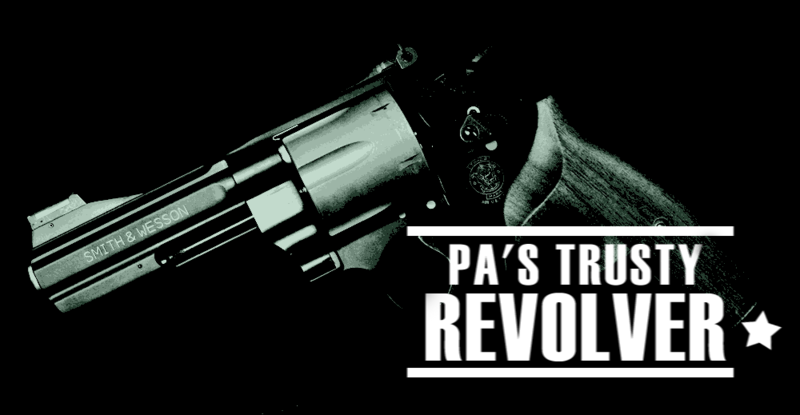 Unfortunately, the lawlessness of the wasteland has granted those in positions of power to exert corrupt ideals across the state and surrounding areas. Slavery is prominent and accepted as tribals, ghouls and mutants are enslaved and regarded as inferior. 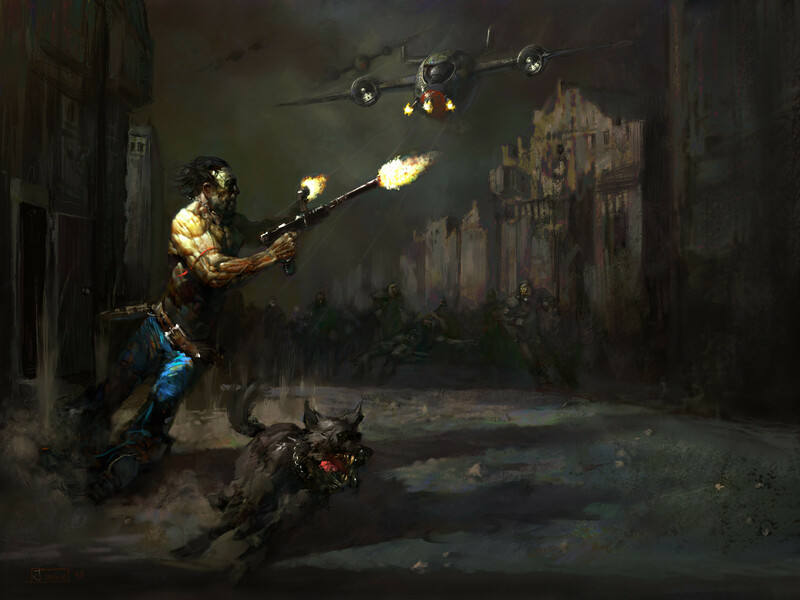 Raiders roam far and wide attacking caravans, small tribes and in some cases, entire townships. Xenophobic religious groups war with one another for the promotion of their ideal. It isn't all bleak though, the guerilla group Red Star works day and night to make the world a better place, attempting to abolish slavery, offer protection from raiders, promote freedom of thought and provide equal rights for mutants. Everyone has their agenda though, it'll be up to you to decide yours. Just don't get too caught up whistling dixie, lest you might find yourself a victim of the disharmonious Blood Opry. Welcome to Tennessee. Everything you need to play the game can be found here. 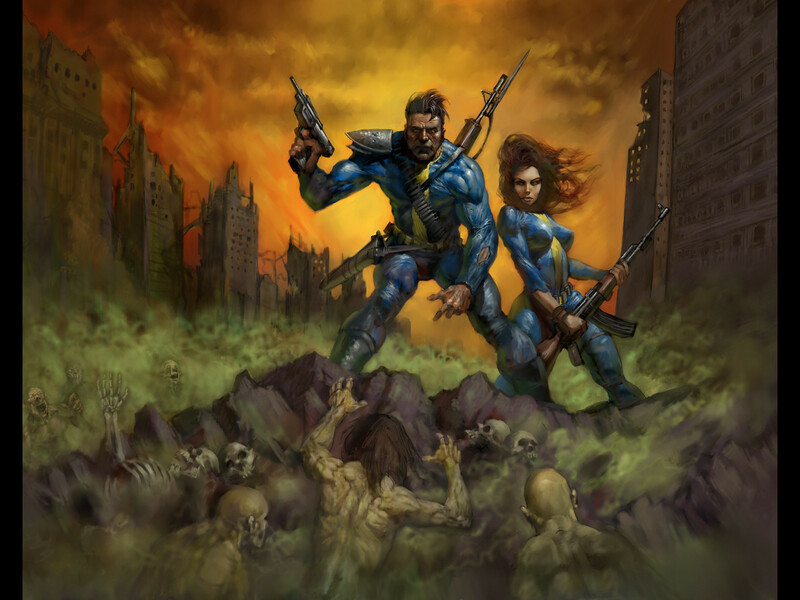 It is all fan made and credit/respect/gratitude goes out to everyone involved for making tabletop editions of the popular game franchise and to those who created Fallout and it's universe. 1. The Core Rulebook will tell you how to play the game and create your character. - I've included Tribal Perks and the Hand-to-Hand Bible to add to the options available in Character Creation. - I don't have any real restrictions, but life will be noticeably harder for you if you roll up a Deathclaw, Humanoid Robot or Dog, but it could be amusing. 2. The Character Sheet is just there as a reference to let you know what fields need to be filled out. It can be a bit daunting at first, but it isn't all that bad. For sure, you need to have all the information pertaining to who your character is, what race they are, their vitals and their skills configured listed. I'm not a stickler on format so whatever works for you, will more than likely work for me and we can work together to fill in any gaps. 3. For Equipment, you'll be buying it from the Equipment Book using caps. To determine how many caps you have, multiply 10 x Charisma Score x Luck Score. 4. I've also included the Tennessee Sourcebook so you know a little about the places, factions and happenings for the setting. Section V of the sourcebook has new equipment that you can also purchase. Looking for 3-6 players. Recruitment open til a party is assembled or interest dies down. Things to consider: Is your character xenophobic, racist or bigoted? Do you have any affiliation to a particular tribe/church/faction? Do you have any personal goals outside of survival? Additionally: Feel free to make bonds with other players, be it coming from the same tribe or working a caravan together, or growing up on rival farmsteads. Whatever you want really. Again, questions can be issued via PM or at my doctoridlesa@gmail.com e-mail. I'll keep a queue open for players who are ok with joining in later or back up characters. Death can often be quick and unexpected in the wastes, so as long as the game is still going, I'll write in characters from queue as others die/quit/satisfy some personal goal and retire. I pretend to be a ninja. gently caress youuuuuuuu I literally have maybe 45 minutes a day to post right now and oh how I hate you for pulling this out. App coming shortly. Also, are we using classic skills or is this like New Vegas where Guns, Medicine, Sneak et al. Are amalgamation of other skills? They are the classic skills from 1 & 2, there are revised skills out on the web, but I didn't want to make it clunky or rather clunkier. On the character sheet you'll get a list of skills and in core rules, you'll get the run down and formula for each skill. Cool, let me know if you have any questions. I will build something, 90% chance it will be an unarmed character as I always loved playing one in the Fallout games. Might even make a Deathclaw, with robe! Just have to take a look at the stuff first. Interested, probably going to make a INT/CHA-focused doctor/medic. Still have to take a look at the other sourcebooks though, so that's subject to change. Hmm I assume the numbers in parenthesis for the Deathclaw are for the Intelligent strain? Lower ST and EN for that, but twice the maximum IN. Can Trait bonuses to stats raise them above racial maximums? Or only up to the normal max? Correct on parenthenses and only to max attribute value. Let me know if anything else comes up! Also decide if you want to be a Tennessean death claw, they are smaller, green and have poison attacks. If so, I'll get you appropriate info tonight. 2nd edit: if you do decide to go the native route, they are described in the Tennessee sourcebook and referred to as Dixie Deathclaws. 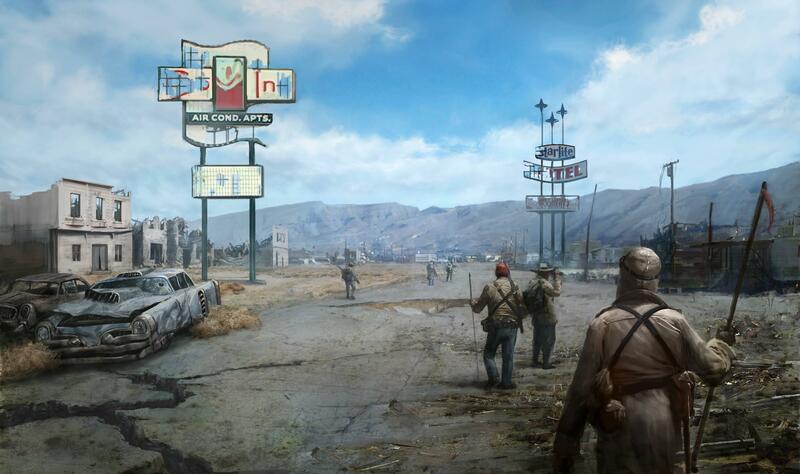 I'll be keeping a queue open too, death is easy to come by and permanent in the wasteland. If you feel like rolling a back up, so long as the game is still going, I'll write you in. Oh I did not know there was a special Tennessee version, I noticed there is a perk for Deathclaws at level 12 that gets them a Type B poison. Haven't looked at the Tennessee book yet, I'll check that. I really like some of the Deathclaw perk options. Probably going to focus on things like unarmed combat, the resistance/tough hide style perks, and probably stealth. Probably won't get Ninja unless I decide to tag melee as well as unarmed combat which I might. Kind of funny that Deathclaws seem to do less damage with their claws than someone using a deathclaw gauntlet, unless I am misreading it. Hmm searched through the Tennessee book for Deathclaw, and didn't find playable stats. Not sure how they change compared to the PC option in the core book. On the one hand Intelligent Deathclaw would be nice, on the other hand even the less intelligent deathclaw can get up to 4 IN. Kind of funny there is a Perk for Deathclaws with at least 5 IN. And a Trait for Deathclaws/Dogs that increases IN by 2 but not above racial maximum. So if you have stats for the PC version of the Dixie Deathclaw I wouldn't mind seeing them, though I am not sure yet which version I will go with. EDIT: Can I select Boxing as my Unarmed Style somehow? While technically not punching the "Punch" focused Boxing path seems better for a Deathclaw that isn't going to be "Kicking". Not to mention Boxing gets some nice bonuses. Or is something special needed to select one of the styles from the HtH Bible? I'm interested. Think I'll roll a Ghoul who buys people's goodwill as a wandering nuclear reactor mechanic (are there a lot of nuclear power plants in Tennessee?). He probably travels in a circuit between plants, performing annual maintenance on them. He might even be on the run from slavers who want to keep him around to maintain only their own reactor. If you go glowing Ghoul we will all have to stay away from you, they give off rads per hour. I'll get a response up for your questions at some point tonight, heading home. Looking forward to this though! Don't worry, I won't! I'll be sure to pack plenty of Rad-Away too, just in case. 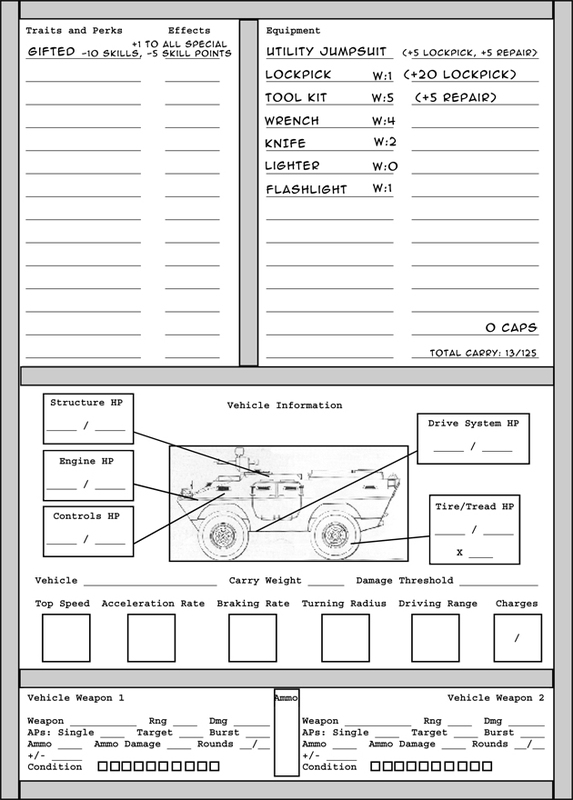 Trying to work on a character sheet, right now mostly transcribing the one from the pdf. Will see how it turns out. Not including the vehicle section right now. Hmm looking a little too wide, now if only I can figure out a way to shrink that armor condition part. Deathclaws have a 20% Resistance to Normal, Fire, and Explosion damage with a Damage Threshold of 4 for each of those damage types. Yet they have DT and DR of N: 5/15, L: 3/10, F: 0/0, P: 3/10, E: 2/10. How does that work? Is the number before the / added to the Damage Threshold listed at the top? And the number after the / added to the 20% damage resistance listed at the top? Or are they for something else? Looking at a map of the US, it looks like there are three plants in eastern Tennessee, and two in north Alabama. I like to imagine that my character moves between these plants in an annual circuit. 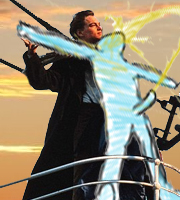 If the plot requires, he may have been driven further west by slavers or mutant-haters. He's pretty good at repairs, so that's how he makes himself useful. Need to get on a different computer to do so but this looks really interesting, I'll see if I can't roll up a character, new to the system though if that's ok.
EDIT: Re-rolled as something social-heavy, especially given all the folks that want to be docs. Also changed template to the simpler one. Eyes: Brown Hair: Brown Appearance: Average build, tanned. Well-dressed. - Human: 15% Resistance to Electricity. - Human: Perk every 3 levels. Lloyd, by all estimation, should have been some kind of merchant fat-cat by now. He has a keen eye for salvage, he knows his way around the Tennessee Wastes, and he could sell ice to Eskimos, if any still exist. Those who know him believe it's because he just doesn't have the heart to do some of the things necessary to be successful in the wastes. He wanders from town to town, poking around in boarded-up ruins and pre-war buildings, looking for anything he can make a cap on. He's gotten it into his mind to try to settle down someplace permanent recently, but Lady Luck seems to think it isn't quite the time for that yet. Lloyd isn't sure that time will ever come. the refurbished armor and all, but it's cleaned up some and might actually stand some damage. +5% bonus on all checks to intimidate, persuade, impress or barter. I've clocked 200+ hours in Fallout. Can I play a traveling Nuka Cola salesman? His main form of combat will be throwing Nuka grenades. DT(Damage Threshold) is the value immediately subtracted from damage you take and applies to armor. Deathclaws have natural armor, but typically you need something equipped first to have a DT. DR(Damage Resistance) is a secondary damage buffer and is a percentage of damage that is stopped after DT is subtracted. Also some armors/races have DR for specific things. Example A: Dixie Deathclaws by default have a DT of 4 and a DR of 40 for Normal Damage. A bandit fires a 10mm pistol at the deathclaw and manages to hit, it was using standard 10mm FMJ rounds so it only does 1d8 + 5 from the gun that shot it. The bandit rolls 3 damage + 5 for the gun firing it for a total of 8. Immediately that damage is reduced to 4 because of the DT of the deathclaw, but then 40% is shirked away from the DR reducing the initial 8 to a dismal 2.4 rounded down to 2. As far as boxing goes, not really, because no one trains the deathclaw. You're pretty much left to savage claw strikes, potentially poisonous attacks and horrendous bites and cleaves. Such is the way of being an 8 - 12' mutated lizard creature. As far as that glove is concerned deathclaw can potentially have a MD of 12, so 1d10 + 10 + 12 and you've pretty much just gutted a brahmin or caravan guard. The sourcebook for NPC deathclaw gives them like 3d8 poison damage, but the stats I've provided for a Dixieclaw are pretty much assuming that the NPC has max attributes. I'll continue to work on that if it's something you decide on, because basically... no one has wrote it! Hope that clears your questions up, I'll be touching back on it if you have more! I'll check sheets in detail tomorrow when I get some free time and over my long weekend. I'll place a plant in one of the towns of the Tennessee source book, most are abandoned, destroyed are so dangerously irradiated that few would go near them. As far as the character background/plot, it could definitely work, cool ghoul repairman just trying to make an earnest living in the wastes. Okay, I think I did this right. drat, there's a lot of crap to keep track of. Yeah, I promise Character Creation is the longest part, combat and the game itself flows pretty good with minor discrepancies that are either usually house ruled or agreed upon by all involved. I love how action points work in this game, because there is no question about what you can and can't do, I also have used to good success a "focus" house rule, where you use your unspent action parts to expedite things for your next turn or lend aid, or prepare something that would take longer than your turn, e.g. hoisting yourself on top of a bluff during combat, or hacking a terminal while laying down suppressive fire. I think most people interested will be new to this, it's pretty much just all free, fan-made rules. Yeah, roll it up, let me know if you need help. If I missed your question, just let me know and I'll get some feedback up. Keep in mind that these play documents are not perfect as they are all fan-made, good chance is that we'll run into a rules conflict at some point or find something illogical within the text. If you want to reason something with me in lieu of bad rules, let me know because... they are out there for sure, but for the most part the game is solid and pretty fun. This initial phase of getting everyone setup is just cumbersome. Hmm I thought the Deathclaw entry in the core book listed a damage value for their claw, but now I am not seeing it. Is it 1d10+10+MD then? That is actually pretty good. For the Dixie Deathclaw I thought 3d8 was the damage the NPC Dixie Deathclaw's claw did, that said Type D poison is nasty doing 4 points of damage a round unless the target passes a Endurance check. The Dixie Deathclaw always has exactly 6 Strength? Looks like most of the stats are pretty similar, except Strength being lower than even the Intelligent Deathclaw, and Agility having a 2 higher max. Yeah I noticed a lot of races had things like radiation, gas, or poison resistance and that those are in a lower section. The weird part was that the Deathclaw entry said that they got 4 Damage Threshold to Normal, Fire and Explosion as well as 20% resistance to those. This would make me assume that it is DT 4 for those three, and DR 20% for them. But while that was in the text in a small box afterwards it says they have the following DT/DR bonuses: N 5/15, L 3/10, F, 0/0, P 3/10, and E 2/10. So since those numbers are rather different than the ones mentioned in the text I was wondering if they were added together or something. If they aren't added together then the Dixie Deathclaw definitely has some better resistances. In fact the Dixie Deathclaw has better radiation and poison resistance for sure. I am tempted by the Dixie version, but that is a rather low Strength max. EDIT: Man Gifted plus low Intelligence means really pathetic skills per level. A person with IN 10 would be getting 25 skill points a level, the current build I am looking at would get 4. Any chance of you running this game with a system that isn't 100% ported from a video game and thus incredibly overcomplicated and difficult to use? Spycraft 2.0 is pretty cool, for example. Jackie Reed's parents, Velma and Charlie Reed, wanted a little boy. They had a small farmstead outside of Jhonnyville where they actually convinced corn and wheat to grow, and they thought that a young man could help plow the fields and see to the brahmin. They got two girls, who they insisted on naming Jackson and Christopher after the son they so desired. Though they loved them, the lack of food was always a serious strain on the family. When Jackie was 16, old enough to survive on her own in the waste, she left to find her own way with a small pack of food and her father's old revolver. 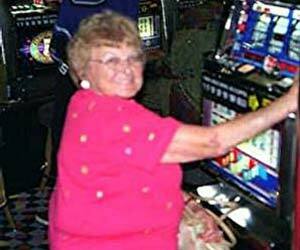 She traveled to New Nashville where she found a job as a card dealer at the Antioch casino, eeking out a living for years. The business eventually went under, though (probably because the owner spent his time and money on cigars and women instead of keeping his casino afloat), and Jackie got a job working security at the Green Gator casino down the strip---or so she thought. It was less than a week before one of the regular customers started to get a little too familiar with her and she realized she had actually been hired as eye candy. When she resisted, she was beaten unconscious---repeatedly. She woke up in a slaver's den in VaultTown and was shortly sold into the service of a wealthy trader from Bedford who seemed to have a sinister use for her. On the road to Bedford, Jackie managed to slice her ropes on a sharper edge of his caravan, killing the trader in his sleep and taking his gun before managing to outrun---and hide from---his bodyguard. Now she's in the waste, alone, and barely armed. But she's free, and she's out for vengeance. Eyes: Brown Hair: Brown Appearance: Scrawny, but tall, with piercing eyes. - One Hander: -40% to hit with two-handed weapons, +20% to hit with one-handed weapons. - Fast Shot: No targeted shots, all weapons take one less action point to use. - Holster: You can swap out 1-handed weapons in combat for 2AP. - Awareness: This perk gives you more information when you examine a critter. Rnds: 12 Burst: N/A Min. ST: 3 W: 4 lbs. COMBAT DUSTER                     1       5       ?? Water bottle (irradiated)         5       ? ?? Day's worth of jerky (irradiated) 4       ? ?? Min. ST: 4    Weight: 8 lbs. - Can be used for a +5% to any non-combat related skill check. - Can also function as a supply mule. I'm in on this. Let me whip up a character. Looking to make a Red Star character if that's okay with you. I've been reading through the Tennessee Sourcebook and they sound like a hilarious band of socialists. Let's say that, as it used to be an anti-nuclear arsenal and civil rights group, it could be possible that there were a few people in the Red Star who sympathised with revolutionary socialist thought (akin to leninism) before the war and that small groups in the Red Star still support it (however horribly warped decades after the bombs fell). Marx was born in a small Red Star outpost near Chatanooga. His parents were two Red Star militia members and as such he was brought up with Red Star morals and values. The only difference was that his mother came from a long line of communist sympathisers who, even when the bombs dropped and they hid underground, continued to hold their ideals high. Problem is that the true values of these ideals were mixed, muddled and partly forgotten after decades of underground shelter. Marx is now a young member of the Red Star and secretly wishes for a dictatorship of the proletariat in the wasteland. He doesn't know what this means, but it must be wholesome and the right thing to do. Uncle Lenin didn't write his little red book for nothing! Besides, his mother and uncle said that only by breaking the bonds of the working man can we found a true socialist paradise. Therefore Marx despises oppressors like the New Confederacy, the Devine Church or Refugium. The latter two are especially despicable as religion is the jet of the people, or something like that, and Uncle Marx wrote this in his pamphlet "The manifested communist". Eyes: Blue Hair: Blonde Appearance: Looks very young. Baby faced idealist. - Bloody Mess: By some strange twist of fate, people around you die violently. Have you ever actually played in this system? It's not really that complicated. It's just D%. Combat would likely still take forever (due to having to do several bits of math just to account for armor reduction, among other things) on tabletop, but I think it's just on the edge of reasonable for pbp. It really isn't all that bad. I tabletopped this through fictional Chicago and Tennessee. It is a bit "bulky" and there are inconsistencies(character specifics, we'll iron out before game starts), but it isn't as sluggish as it would appear. You have a fixed amount of action points to expend each round, so you're either planning to A. do long range damage, B. do melee damage or C. Anything non-combat related, and each of these have very specific action point costs. In other words, you do what you're going to do and you're done. An example: Beth, the Brotherhood Initiate wants to spend her turn reloading her plasma pistol, crouching and then firing. She has 8 AP. First she reloads for 2AP, Next she crouches for 2AP, then she takes one shot for 4AP. Her attack was successful so she rolls her damage and comes up with 12, unfortunately the raider she was firing at has no DT or DR against plasma in his leather jacket, so he takes the full impact of her attack and is converted into a molecular goop on the arid soil. You have to keep in mind, you and your enemies don't have a lot of DT/DR so many times, if you hit, you just hit. I'd say things can get complicated on burst weaponry, like from a SMG, but yeah for PbP it'll be fine. It's a bit "crunchy" at times, but for the most part it runs relatively smoothly. It isn't a complete port, most of the games S.P.E.C.I.A.L. system is ported over, but it definitely has been adapted for tabletop, the game just lacks the grace that a good editing staff would bring since it is fan made. All in all, it's not that hard to play once the game gets going. Yeah, they do have fixed stats, but like I said since they never adopted that for Player Characters(two different authors), I'll be creating a "rules shiv" if you decide you want to be a Dixieclaw, those attributes I provided are ones I decided on, but I'm up for discussion on it. I'll sit down during this 3 day weekend I have and work on it. To the new submissions & people with sheets already in: I'll sit down tonight and review them. Thanks for your interest. I've never played any kind of traditional game like this, or even seen one played. I'm not big into the Orc/Dwarf theme that seems to be the main style they follow. I've played the poo poo out of fallout though, and I could definitely get into this if starting with no idea what is going on isn't too much of a burden. If there's space, I've already got an idea of a direction to go with a character. I'm on the forums daily, so I can be active, but that's about all I bring to the table. I don't have crazy dice (which the core rules said was required for every player) or anything else that is traditional game specific, so I can really only play if it's just keeping up with what's going on and posting. The learning curve would probably make this more fun for me just because of the uncharted territory aspect, but if it'd be a major pain in the rear end for everyone, I'd rather pass for now. Here we go: Mossman the lonesome nuclear repair-Ghoul. I think I did it all correctly. Skill totals do not reflect equipment bonuses, so my Lockpick skill will be 41%, and Repair will be 50%. Can I have a five-string banjo with three unbroken strings for flavor? Mossman likes to comb the wasteland for functional string replacements. He's not a very good banjo player, but he's getting better. Mossman hails from Mictlan, the largest Ghoul settlement in Tennessee. Mossman has vague recollections of his pre-nuclear life as a technician at the power plant in Mictlan, and spent much of his post-nuclear life trying to minimize the radiation leak. Obviously, he had his work cut out for him. After decades of growing dissatisfaction with the infighting among the five Ghoul factions of Mictlan, Mossman decided he'd had enough. He packed his meager belongings, said goodbye to his friends, and struck out on his own, finding work as a repairman, and specializing in the maintenance and patchwork of nuclear reactors. Mossman hopes to someday earn acceptance among the "Normies" by demonstrating his value as a rad-resistant Ghoul with technical aptitude. Given that about half the Wasteland wants to enslave him while the other half wants to kill him, Mossman does not expect that day to come any time soon. Picture coming soon. I don't have PMs, but I can be reached at wenttohell (dot) sa (at) gmail (dot) com. Edit: Added backstory and email address. Edit 2: Updated character sheet. Edit 3: Added character pic. I'll help you get setup and I feel bad for assuming everyone knows the format and such. You can use Orokos.com to make your rolls, it tracks rolls and you can link them as well. I'll go into more detail about it and character creation in a bit. Currently on phone and I'll need my comp. Ah, don't feel bad. I've skimmed a handful of threads in here, and I haven't seen anyone who didn't already know all this stuff. After work tomorrow I'm off for a few days, so I should be able to get up to speed. Thanks for the help. 0. Download the PDFs from the original post. 1. Pick a race. It lists what stats you have, their minimum, their maximum, and their average (or 'starting') value. 3. 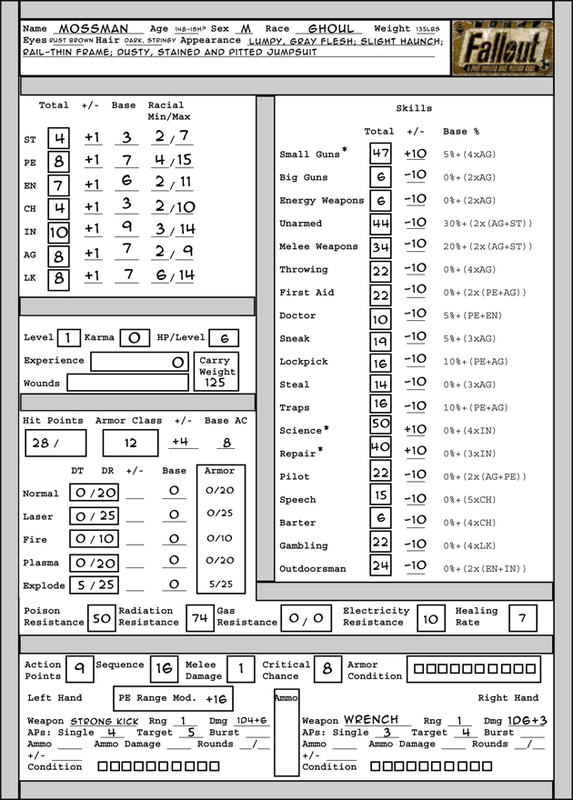 Copy/paste a character sheet. I'd recommend the one I posted, but mostly because I think it's easier to read / modify than the ones before mine. 4. On the RHS of all of the skills and derived stats is a small formula for computing it. Just use the relevant stats. I didn't write the Base HP down, but it's listed somewhere and you can always figure it out later. If something says 'Gear' next to it, it means it is gear-derived so don't worry for now. 5. 'Tag' three skills. These skills get +20 added to them for being tagged, and your character will be better at them. Also, they will level up faster. 6. Pick 0, 1, or 2 traits from the traits section of the book. Each describes what to change according. 7. Compute your starting caps (10xLuckxCharisma) and look through the Equipment guide. Try to find stuff you can afford that seems useful. A lot of it is painfully expensive and we're really broke starting characters, so I wouldn't stress too much. (I couldn't even really afford a pistol with my starting caps and I'm trying to play a gunslinger.) You always start out broke and poorly armed in Fallout, right? If it conveys armor, that's what goes in the Normal/Laser/Fire/Plasma/Explosive part of the sheet, and it should clearly line up. If you want to message me, I will happily help you with stuff (and I'm sure Dr. Idle will, too). @Ryuujin - I realize now that I read one of your original questions wrong. What is listed in the paragraph text is a definite conflict of what is listed for the DT/DR Bonuses. It looks like they are trying to establish those as the base scores and add the bottom section as bonuses, but that almost seems excessive. Well, that doesn't seem too bad. It seems like it's incomplete or not described clearly enough, but I want to say it is just added together. Deathclaws are supposed to be some of the toughest, fiercest creatures in the wastes so I could rationalize those resistances. At best, tweak them down just a little if it seemed to be too much. @QuantumNinja - Beautiful rundown of the character creation process. I know it is all over the place, and I apologize to everyone for not having broken it down better in the OP. drat, Jackie Reed sounds cool. I see you put +5 on AG, but I see the 9, just adjust that to 10 and you're good to go on attributes, unless you want to move it somewhere else. All in all, got 1 point left to spend. HP I show, should be 30, 5 / LVL is good though. AC should be at 10(unless you put that pt. somewhere else). You should have 10 AP if your AG is actually 10. All effected by agility will need to be reworked unless you adjust another attribute and then same thing with that attribute. Check out! 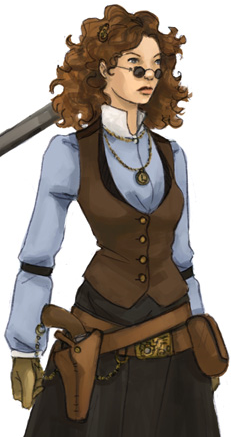 Deadly combination of traits for a level one gunslinger. Checks out! Let me know if you have any questions or if I missed something, but yeah looks good! @Commisar Kip - Haha, sounds like Marx Molotov is equipped for the weird wasteland. I show you should have 20 Caps remaining, but everything else checks out! @Went to Hell - You can definitely have a five-string banjo with three unbroken strings haha. Your jumpsuit also grants you some resistance DT/DR that you'll want to fill out. Other than that, I think everything checks out! @Volkerball - So yeah, QuantumNinja broke down that process pretty excellently. As far as dice are concerned in game, like I said, I use Orokos.com. It is without a doubt my favorite online dice roller and makes it easy to accomplish big rolls, etc. As far as character creation is concerned, it's pretty much just allocating points. No matter what race you pick, you have 5 points to add from your racial averages. For example, Went to Hell has attributes 3, 7, 6, 3, 9, 7 and 7 before gifted. Mossman the Ghoul, has his PErception and CHarisma lowered from average bringing the total points he has to spend up to 7. He puts one in ENdurance, three points in INtelligence and three points in AGility. All 7 points spent, he also took the gifted perk which reduced his skill scores, but improved all of his primary attributes by one. So that plays out kind of like the game. Human's are the easiest to create, but don't feel intimidated from rolling another race, but yeah as long as your scores fall within the max/min values for your race and you don't spend more than 5 points increasing attributes from average, unless you lower something to compensate. After that, all of your secondary attributes are derived from those values with basic arithmetic and its just filling in the blanks at that point. Looking good! I'm glad you've all taken the challenge of pushing through the initial confusion and have put forth some really cool characters. It's going to be a good time. Once a special program was developed to instill intelligence into the common Deathclaw. Resulting in a slightly weaker Deathclaw variant. Yet the variant did prove to be more intelligent than the common Deathclaw. And then the base where they were created was destroyed. Two of the enhanced Deathclaws managed to escape. One went on to help a Wanderer. The other headed East and mated with less intelligent Deathclaws. Therax is descended from this intelligent Deathclaw. Not as smart as some of the variant got, but capable of a odd form of speech, and more intelligent than a normal Deathclaw could ever hope to be. A little smaller than some of his fellows he made up for it with viciousness and cleverness. Though poorly conveyed Therax had heard legends of the albino Deathclaw that had actually gone on adventures, traveling with the Wanderer. Filled with a desire to explore in his short life Therax followed suit, throwing the cheapest robe he could find over his form to conceal it from prying eyes and went out in search of his own Wanderer to travel with. - Deathclaw: 20% Resistance to Normal, Fire and Explosion damage. - Deathclaw: +4 Damage Threshold to Normal, Fire and Explosion damage. - Deathclaw: +15% bonus to Damage Resistance to Normal, +10% to Laser, Plasma and to Explosion. Yeah again. - Deathclaw: Perk every 4 levels. - Gifted:    -10% to all skills, -5 skill points a level, +1 to all attributes. - Bruiser:   +2 ST, -2 AP. Thanks! I shuffled my stats around a bit after making my character, but evidently forgot to redo some of the derived stats mathematics. Everything should be in proper order now. I can't wait to play! Thanks for double-checking my character sheet. I'll have a corrected version uploaded shortly. The lockpick set I wanted to buy is not the electronic lockpick, but the standard lockpick on page 45. Hope that checks out, otherwise I'll grab those bobby pins, as you suggested. I apologize for goofing, yeah you're good with the lockpick set on 45. My bad. Disclaimer: While I will try to be accurate in what I tell you, there is that chance that I'll gently caress up, so don't hesitate to call it out. @Ryuujin - There is one thing that may dissuade you from the deathclaw, but maybe not... Deathclaws can never use melee weapons and never have armor. Now if you're ok with this, I'm ok with this. I'm also ok with potentially adding plot to increase the abilities of your deathclaw. I only bring this up because I see you have melee weapon skill tagged. For sure, just by what you have... you'd probably one shot commoners and wreak serious havoc on anyone trying to stand against you, but you're almost handicapped because you're a semi-feral mutant lizard. Let me know your thoughts on this, but the sheet looks good. Melee is tagged to get it high enough for some perks, since some of the perks that might help me require high melee. Still not sure if I will actually take them though. I need to go over the perks again, see which ones require melee, like Ninja, and see if they are worth it. Otherwise I might try and tag something else. Maybe one of my negative skills. EDIT: Okay to try and work things better I switched from regular Deathclaw to Intelligent Deathclaw. Changed some maximums and averages. Basically ST went down 2 to 11, EN went down 1 to 11, and IN went up 3 to 5. Which should give it average Intelligence. That said CH is still 1 and being gifted still imposes a penalty on skills, so Speech, Barter and Gambling are all still negative. But now I get considerably more skill points a level. Also switched Tag on Melee to Outdoorsman. Ninja was the only perk I was looking at that actually required Melee.